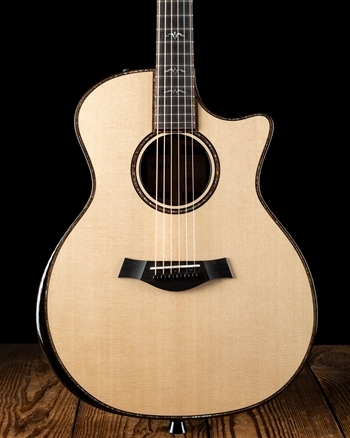 The cutaway Grand Auditorium 514ce is a perennial favorite with singer-songwriters and light-to-medium strummers. 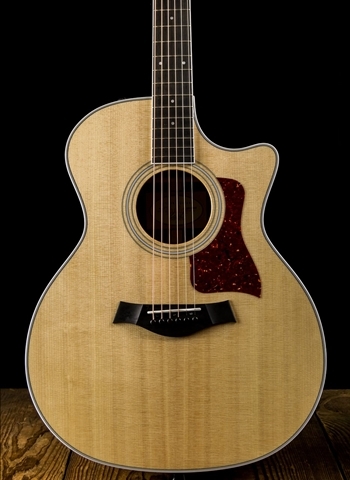 The pairing of mahogany back and sides with a cedar top yields a tone with a strong, clear midrange presence, while the cedar top adds warmth and a bit of overtone bloom that suggests an older, played-in guitar. With the addition of Taylor’s Performance bracing, the overall voice responds with more power and volume. Appointments include faux tortoise shell binding and pickguard, a rosette of faux tortoise shell framed by grained ivoroid, and a grained ivoroid Century fretboard inlay. 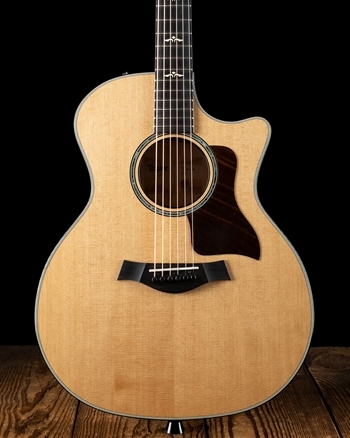 A Venetian cutaway offers greater access to the guitar’s upper register, while Taylor’s patented Expression System 2 pickup translates the sonic warmth and detail into a natural-sounding amplified tone.